I've noticed the front tyres need replacing. Not happy i bought them in august 2014. What the local tyre place can get. Are the 5's better than the 3's. Can't wait to buy an old banger for the wife so i can drive the golf to work every day. Black circles are doing Michelin ps4 for £100 each. They are very good. I had those Goodyears on my Impreza and didn't like them at all. I can't remember which version of the Goodyears. They have the MICHELIN PILOT SPORT 4 225/45 R17 94 Y XL for €88.95. But then the fronts will not match the backs. What would these mean in terms of handling and braking? Unless you track the car and push the limits of grip, it means nothing. 99/100 people would never notice the difference. was some deals in this post on the PS4, not sure of they're still live though. Formula one Autocentres have upped the price to £364 with the MCH13 discount. 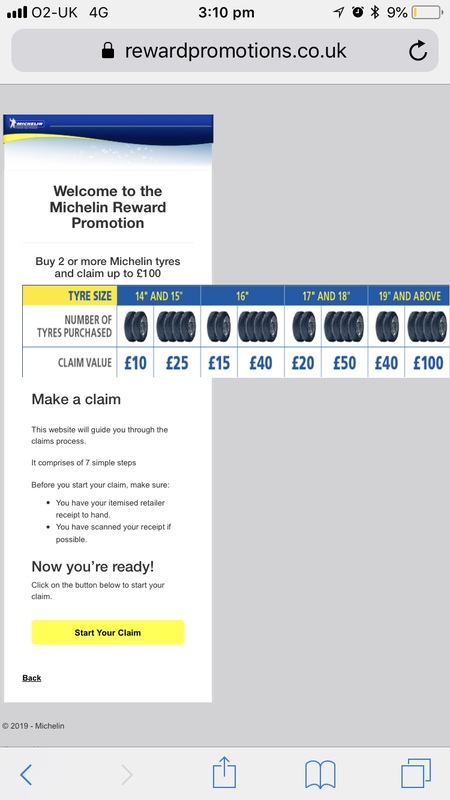 But you get an additional £50 off by uploading your receipt to the Michelin offers page. £20 off for purchasing 2. After watching that, I would still take the PS4. Why not wait until Goodyear release their Super Sport range later this year, which will be a step above the Assymetric 5. Assymetric 5, Conti Premium 6, PS4 are all comfort biased sport tyres. PS4 S, Sport Contact 6 and the forthcoming Goodyear Sport are all Fast road/track biased tyres. Good choice! I didn't see this topic in time to share my opinion, though.